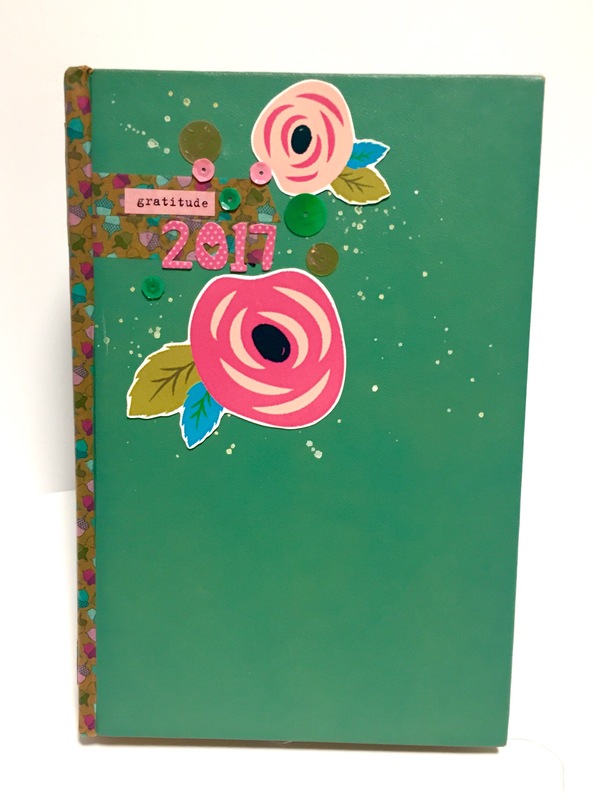 Just a few more days and Gratitude Documented will be in full swing! 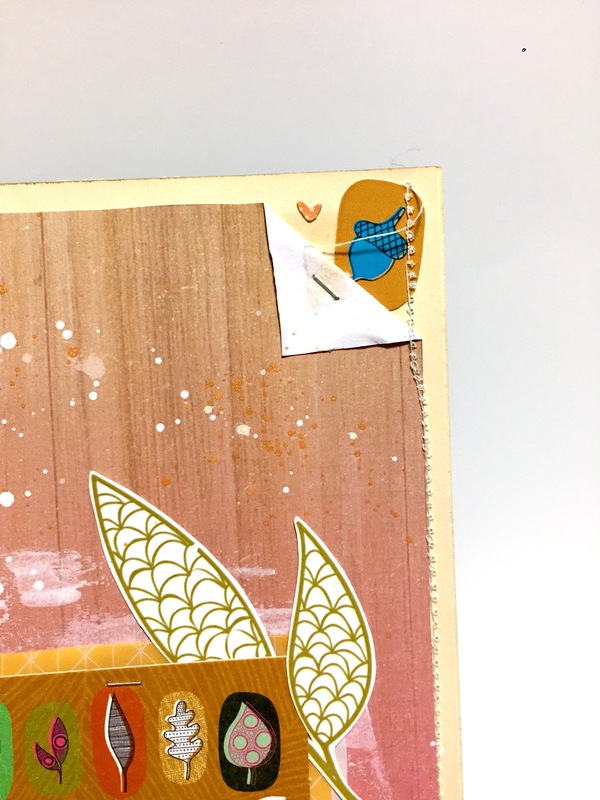 I shared a little sneak peek late last night of the altered book that I have started creating for my daily journey through next month on Instagram! 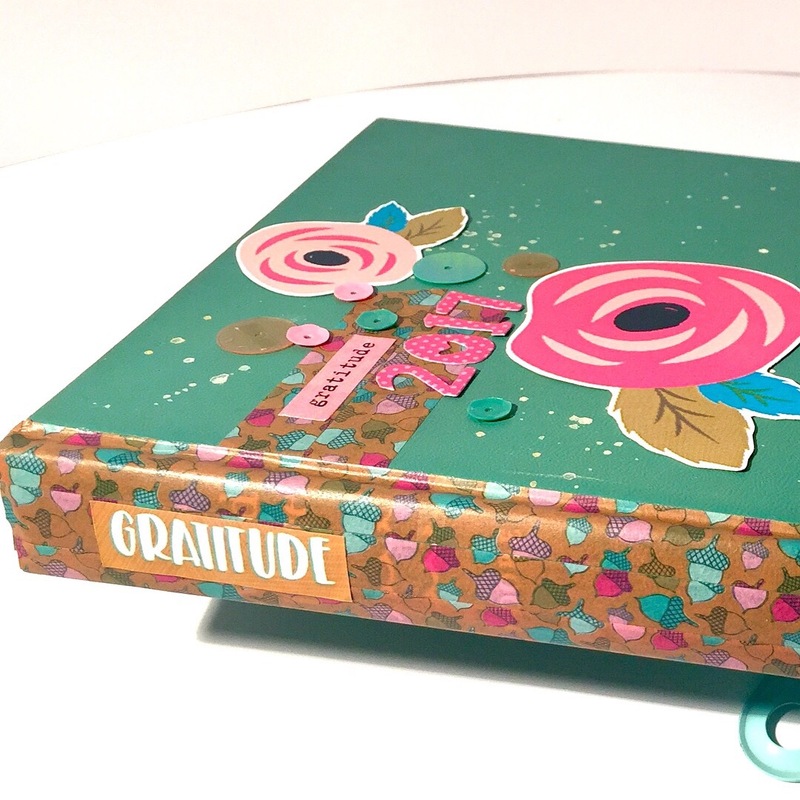 As promised, despite a complete lack of light for decent photos, I’m sharing the intro to my altered book! I intend to complete this book as I go, so I only have an intro page and a two page spread for the week one tab thus far! 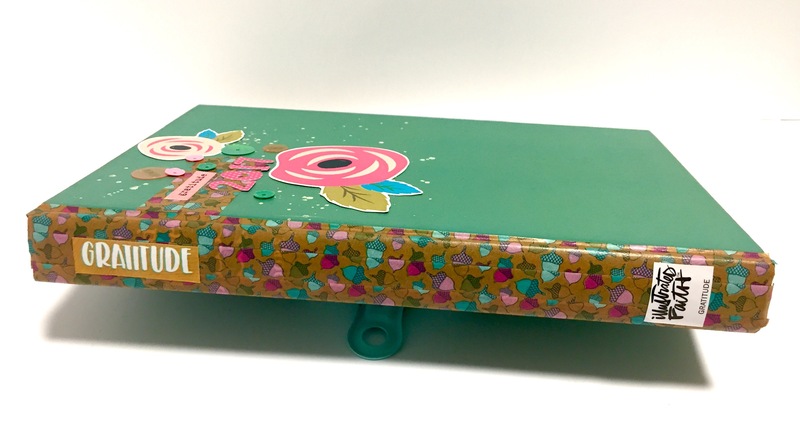 I’m seriously loving the time spent crafting in something out of the ordinary! It’s right up my alley! 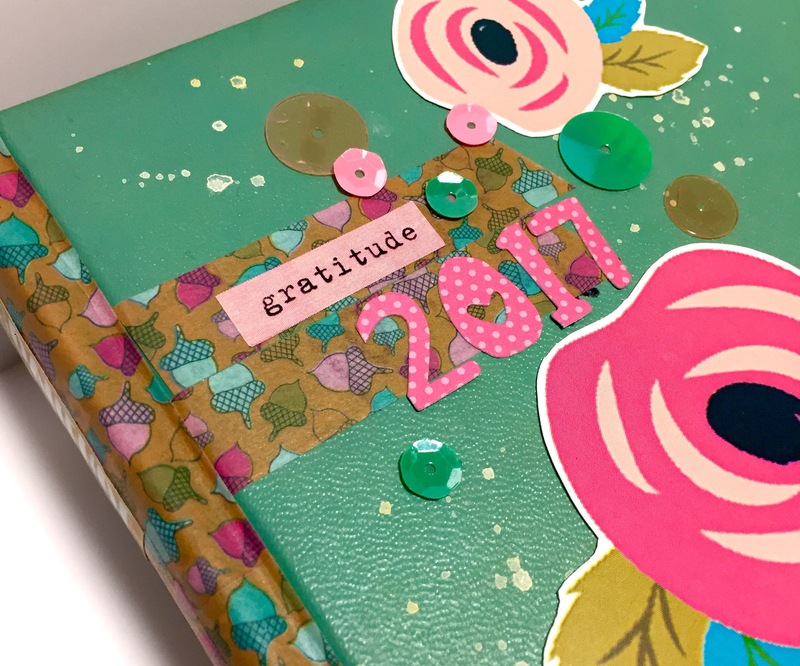 I started by cutting about half the pages from the book, so I would have enough room for thirty days of embellishments and Journaling. 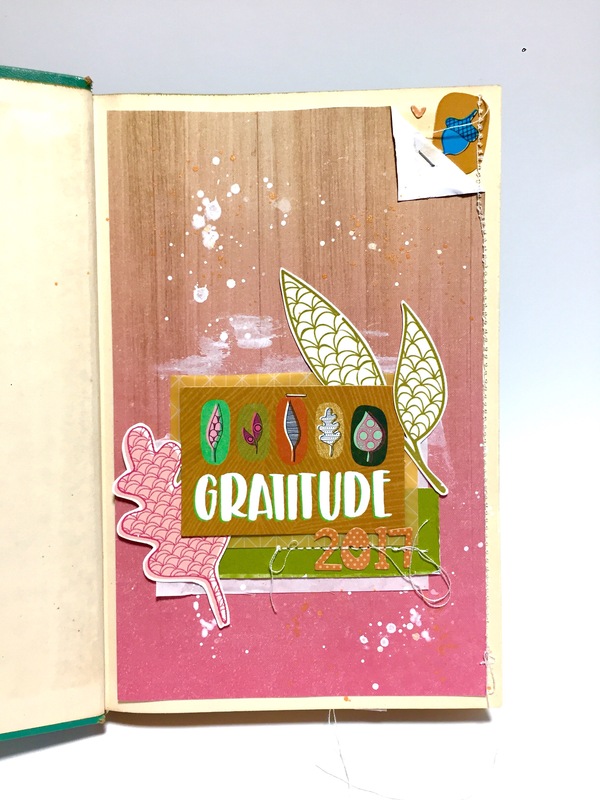 When the hard work was done, I pulled out the kit and unpackaged the acorn Washi; it was going to cover the spine. It seemed fitting for me to imitate the title and author from the barcode sticker on the Illustrated Faith packaging. 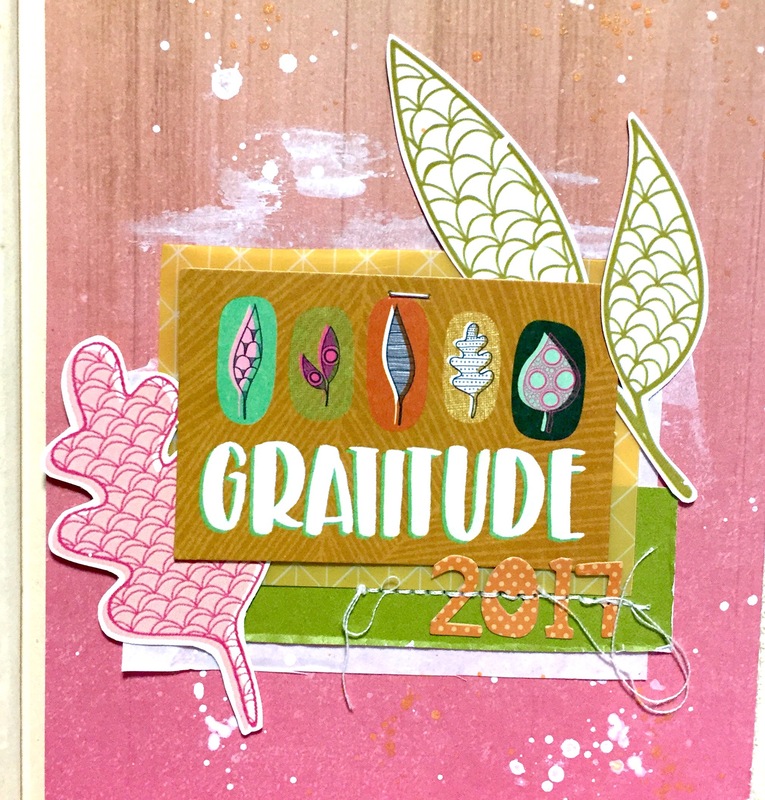 I used a mixture of digital elements from Bella Blvd’s digital shop and from the Gratitude Documented Kit, along with paint splatters and sequins. It was easy as that! For the beginning of each week, I intend to make a pocket between two pages like this! The pocket holds the assigned card from the kit. 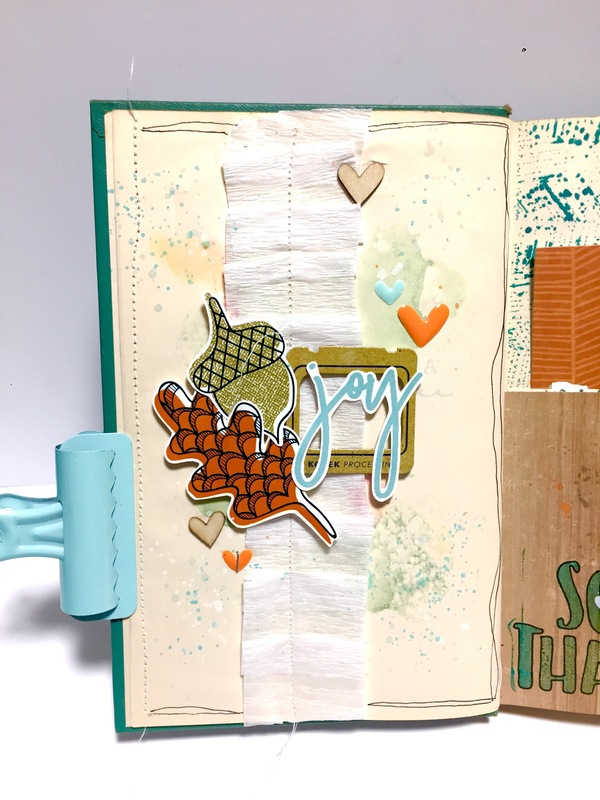 I’m excited to get to pages that have more words, so I can start playing more with punches, ribbon, and ripping out parts of pages to create texture! I’m really looking forward to sharing my process with you guys! 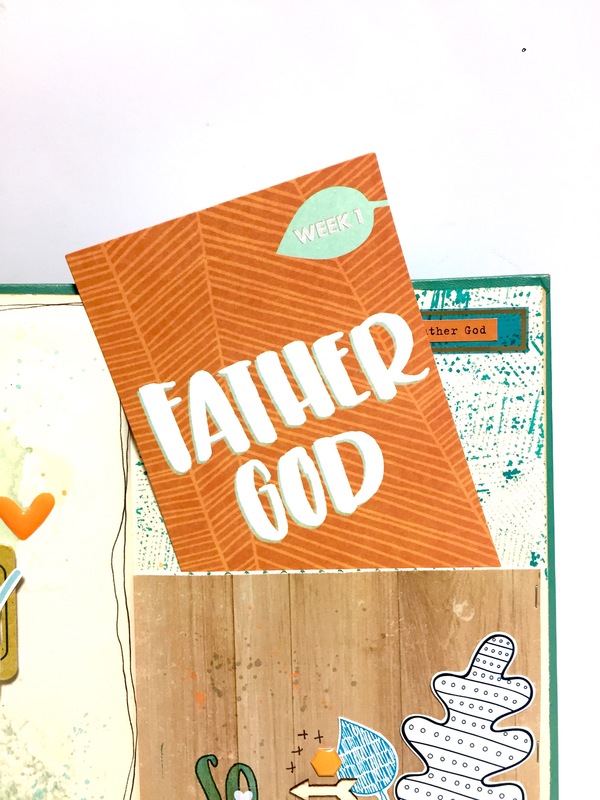 And of course, not to forget the Bible Journaling pages to go along! I hope your having a restful Saturday! This is so pretty. Can’t wait to see more of your work this month. I love this Lydia. 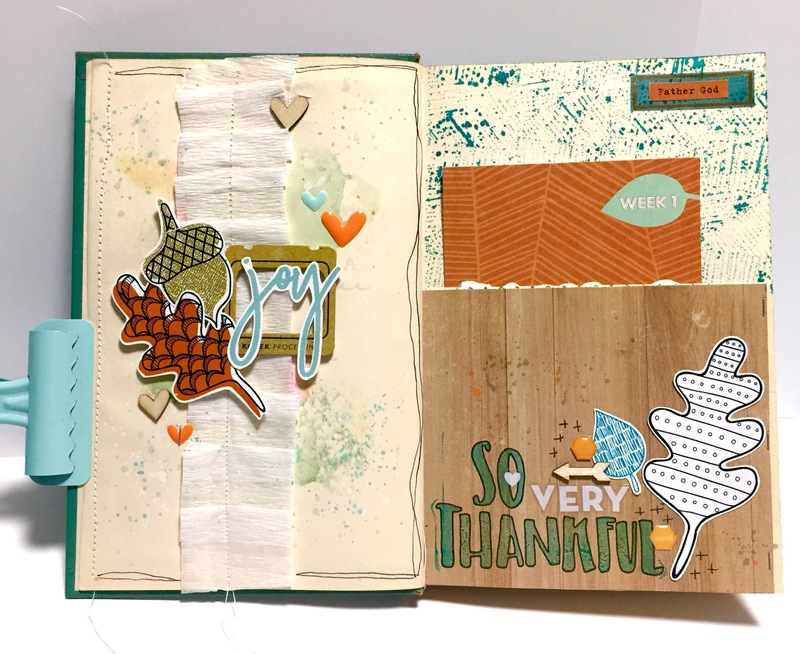 It is such an inspiration of how to make an altered book. Love it! Such a cute book ! TFS ! Wow! That’s beautiful! I’m looking forward to seeing what you do with this!